A couple convicted of a number of offences have been sent back to Poland. Sebastian Kondratko, 37, and Monika Szwecka, 27, were forced to return home in May and June respectively for failing to exercise their treaty rights, as required by EU law. The pair committed offences in Wakefield including assaulting a police officer, criminal damage and theft. Both Kondratko and Szwecka served prison sentences. Immigration Enforcement officers, based at Normanton custody suite, questioned the pair in February about the purpose of their stay in the UK. After establishing they were not exercising their treaty rights as EEA nationals by working, job-seeking or studying, the couple were sent home. 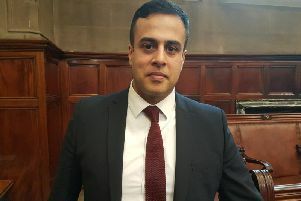 Director for Home Office Immigration Enforcement in the North, Midlands and Wales Eddy Montgomery said: “The behaviour of these two individuals has had a detrimental effect on the local community and we will not stand by and allow this to continue. Sgt Chris Raby, of Wakefield central neighbourhood police team, said: “These two individuals were responsible for numerous issues within Wakefield, including a variety of criminal offences and a high volume of repeat incidents of anti-social behaviour. Anyone with information about immigration abuse should call Crimestoppers on 0800 555 111.